He's so cute! He looks like he is actually driving! I can just soak up the warmth from your pictures. That looks like just what I need right now. Great pics wish I were sitting in the sun. Okay, so jealous. We are in the middle of a few nasty wind and rain storms. I love the look of determination on your little guy's face. Enjoy! Could it be any more beautiful there? I think not. Thanks for sharing your sunshine. I'll be back for more - I'm following you on GFC and NetworkedBlogs. You seriously do know you have it made, right? Looks like you have a wonderful time!! And hey...I need to check out your Say no to Captcha...I HATE the word verifications!! Such clear water..our beaches here are not even that nice. cute pictures..can you send some of that weather my way I am so ready for it...Happy WW!!! Oh yes! You have made me jealous with your beautiful photos. It's warm enough here to go outside this week ... but get in the water? Forget about it! Today I am celebrating temps in the 40s and melting snow after two weeks of NEGATIVE 20+ temps. Needless to say, I'm JEALOUS!! Thanks for hosting the blog hop - I'm a new follower & will include a link to your hop on a page that I have on my site. It's devoted to blog hops for each day of the week, and you can find the link at the top of my sidebar. Hope you'll visit! Hard to believe that some wonderful places are actually warm. I think we've forgotten what warm feels like! That top photo does look like he's driving. I am you newest follower, found you on Friendly Friday! I love your header, TOO CUTE. You and your daughter look SO much alike! Brand new follower! 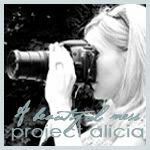 I love your pictures and your blog is gorgeous! I look forward to following you! That looks amazing! Would be nice to switch from snow to warm sea instead. It's even too cold in Florida to go in the water... I'm SO jealous! I love the sun and water... and especially riding in a boat. Great photos of all of you!